Restaurants in France, Spain, Germany: Is the European culinary scene changing? How Is the Western European Restaurant Scene Changing? 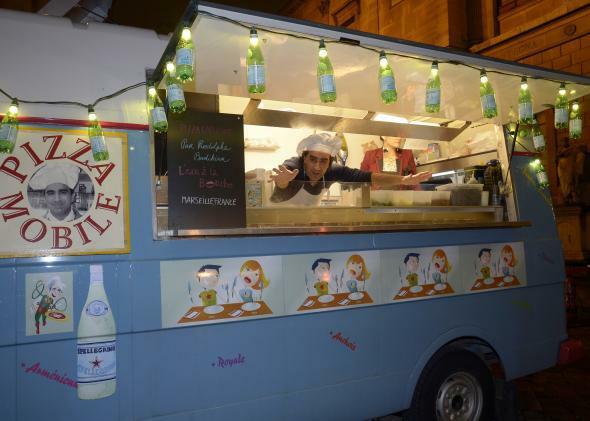 The owner of a food truck in 2012 in Paris. Western Europe manages, more than before, to be a hodgepodge of food and cooking. France seems to finally recover from the stiff traditionalism of Paul Bocuse and his contemporaries. Places like Holybelly or Clamato in Paris, the developing “Bouchon” scene in Lyon, or the food trucks in Marseille, take on the old guard—and win. Reservations in Michelin-starred places are at an all-time low, but those brasseries, bistros, Bouchons, and food trucks see lines wrapping around the block. French diners want substance, perfect execution, and sub-30 euro ($34) dinners. Spain, sad to say, is drawing back. Most Spanish will disagree with me on this, local patriotism and all, but Spain’s once proud push into food as an art has come more and more to a halt. Spain never had an issue with dining as an event and a positive experience, but the second part, dining as a craft and art, is failing. Yes, with places like elBulli Spain led the way, but it hasn’t caught on anywhere but in some select places. Germany hasn’t changed much. Germany in a nutshell, one word, is solid. As one of the few countries left with an apprentice and mastership system, Germany creates solid cooks and chefs and solid food. With Vendome in Ratingen, Walon & Rosetti in Frankfurt, or Essigbrätlein in Nürnberg, it shows that you can create great food and value from those basics, but this isn’t a trend—those are exceptions. You can’t go wrong eating most anywhere in Germany, but that amazing zinngggg-aaaaha rarely happens. Italy is the new traditionalist on the block, winning over Switzerland and France when it comes to cooking based on terroir and old recipes. It recently rediscovered the opulent meals of yesteryear, and many chefs are going that route instead of changing with the times. Belgium, the Netherlands, and Luxembourg are interesting in that waves of whatever external food craze happens also wash over them. France’s bistro craze turned Belgium and Luxemburg into a bistro region for a few years; now it’s Germany’s “solid” that shines through in many places. The areas to watch for the next years and that had the most amazing positive transformations are the Scandinavian countries. New Nordic (Noma in Denmark started that) and New Northern (Lapland in Finland) bring strong flavors, nature, affordability, and old ideas in new technologies to the table. Even the host family on whose table I sat a few weeks back had gone out that day, in the dead of a super cold early spring morning in Lapland, to find edibles for that day’s dinner. Not for me, mind you, they do that every week. Linguistics: What do linguists know that most people don’t? Food in Europe: Did Europe have a source of dietary caffeine prior to the importation of coffee, tea and chocolate? Cooking: What are the best healthy cooking tips?